Surya's Riley Rly-5038 area rug is the showstopper piece your decor needs. Its Kurdish-inspired style is evident by the ornate central medallion and artistic flourishes which highlighted in rich tones, make a stunning contrast against its warm dark brown ground. Rendered in deep tones, the leaf motifs of Surya's exceptionally soft Riley Rly-5009 spring to life in a bold way on its camel-tone ground for a look that is both enlightening and refined. 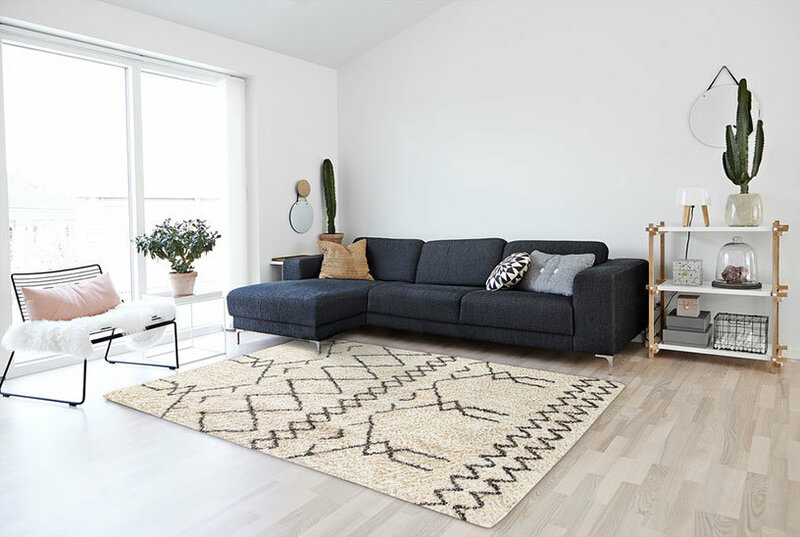 Surya Riley Classic Black RLY-5038 Area Rug, Runner 2'x7'5"
Captivate the decor of your space through visual depth and contemporary styling with the alluring blend of rich and earthy-tone banded lines crisscrossing across the soft ground of Surya's Riley Rly-5057 area rug. The soft butter ground of Surya's comfortable Riley Rly-5051 area rug is adorned with mixed-tone Suzani-style medallions, presenting an exciting look that can inspire your decor with alluring beauty. Boldly infuse your space with a fresh taste of modern design through the varying-tone overlapping circle and oval motifs of the brisk-hued and supremely soft Riley Rly-5104 area rug by Surya.